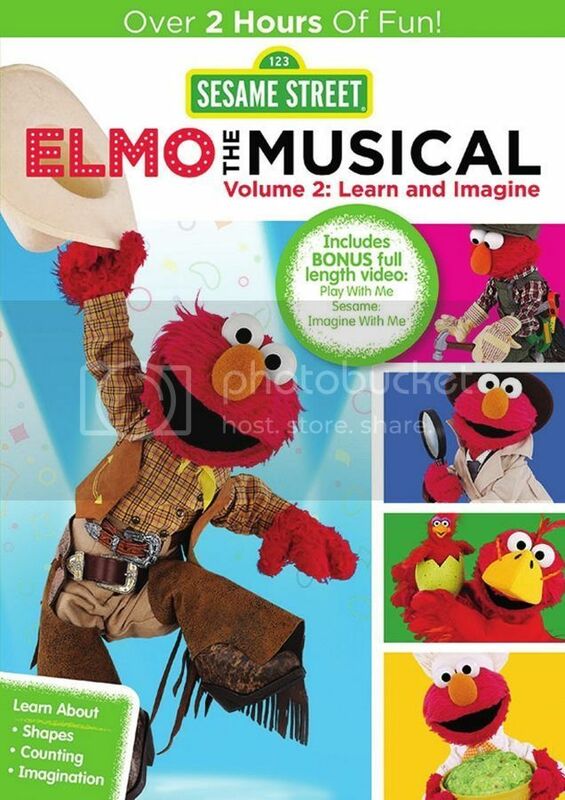 This spring all Elmo fans can be really excited with Sesame Street: Elmo The Musical Volume 2 release on DVD. Our favorite furry red monster is ready to sing and dance in the new episodes filled with fun and adventures. In Sesame Street: Elmo the Musical Volume 2: Imagine and Learn, kids will sing, dance, play and imagine along with Elmo on math-filled adventures! They’ll join Elmo as he becomes a cowboy in his musical “The Count-by-Two Kid,” and escorts six kitty-cows through a canyon to the Double Double Dude Dude Ranch Ranch. Next, they’ll don a detective hat with Elmo to help investigate the secret behind all the sneezing. An extension of Sesame Street’s STEAM curriculum (science, technology, engineering, arts and math), each episode is an interactive, fun-filled musical adventure created by Elmo and the child at home. Focusing on imagination and math skills, such as enumeration, relational concepts, addition/subtraction, geometric shapes and many more, Elmo takes viewers on thrilling explorations as he imagines himself in many adventures. This DVD also includes bonus full-length video of Play With Me Sesame: Imagine With Me, which focuses on imagination and interactive learning. Now in its 45th season, Sesame Street is the longest-running program in children’s television and the number one top-of-mind preschool show with moms. Sesame Street also has the highest "co-viewing" experience - meaning adults watching with kids - of any preschool show. The series has received more Emmy awards than any other show in television history, as well as a Lifetime Achievement Emmy Award honoring the 40th year. For our US readers we are excited to host a fantastic giveaway. Three lucky people will win Sesame Street: Elmo the Musical Volume 2: Imagine and Learn on DVD thanks to Warner Bros. Home Entertainment. For your chance simply fill the Rafflecopter from below. The giveaway is open to US residents only, no P.O. boxes please, and ends May 22, 2015. My kids really like Big Bird. I like Big Bird, but nephew likes Elmo.